The morning after Labor Day is a bittersweet one. Entire barns are already empty and the energy level is down significantly. But the Spa backstretch remains a magical one. Beautiful scenery, the early Adirondack autumn air and, of course, horses make for an unbeatable combination. The total handle was encouraging. Last year was a record and this year was close to the same level. That despite last year having ideal weather, fewer races coming off the grass and, needless to say, the excitement created by American Pharaoh’s presence. One major jolt was the late Pick 5 on the last four days. I had never paid attention to the handle on the early Pick 5, which is also significant, but was staggered by the size of the late one. The Saturday card generated $980,000. The Pick 6 pool for the day was $200,000 (also an amazing number). The Pick 5 also allows a 50 cent bet which has to be a major factor in driving the handle. Here’s hoping NYRA continues with this experiment at Belmont. Attendance figures are meaningless. 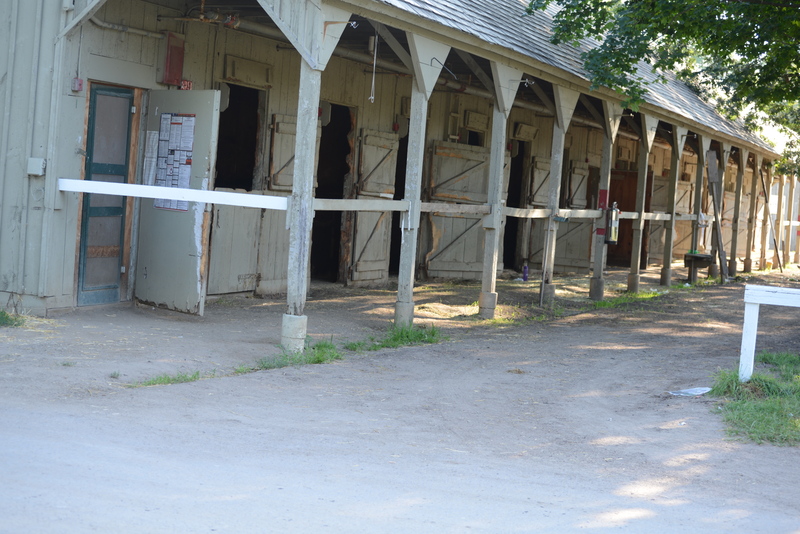 NYRA reported a figure of 1.1 million, an increase of 5.4 per cent over last year. Since they count season pass holders as being here even if they are on a Cape Cod beach, and double count ticket holders with a pass who do show up, why bother even reporting a number? It used to be the only questionable attendance figures were on giveaway days. There were many complaints about field size and racing quality. I am working on an analysis of field size, but there seemed to be a bunch of five- and six-horse (or fewer) fields. Also, a seeming surplus of low-level claiming and 5 1/2 furlong turf sprints. Yesterday’s opener, for example, was a $12.5 claimer that scratched down to four horses. I think, however, that the NYRA Racing Office is not carding such races to irritate horse players but, like most of us, would prefer full fields of stake and allowance horses. But where are they going to get them? After all,the purse structure and state breeding program may well be the most generous in the nation. Gabby Gaudet is a breath of fresh air for a stale product. I stopped the automatic use of the mute button when NYRA added Gaudet to their team of broadcast analysts. I’m not the only one who started to enjoy the on-air handicapping when she was paired with long-time analyst Andy Serling and was obviously not overwhelmed by his self-perceived genius. There is also the hope that Serling will realize that his not-too-subtle and constant sniping at Gaudet is doing nothing to enhance his appeal. There are good food options at the track. The Shake Shack is hardly a surprise and a frequent choice. On the last day I discovered the wood-fired pizza, which will also be a frequent choice if they return. There are the Saratoga Chips. Druthers has a small stand near the escalator and provides top-quality beer brewed about a mile from the track. And the Spa is the Spa. There is nothing better than a morning on the backside followed by a summer afternoon on the front side. I think NYRA’s management is commendably trying to come up with new things, but sometimes it is just better to step back and realize what a priceless experience is already there. I read on a messege board that a bet on Andy Serlings first choice returned a positive r.o.i. For the meet. You failed to mention The Mig. He was instructive for the average handicapper and definetly deserves an accolade.